Jaguar North America is taking its first all-electric performance SUV, the 2019 I-Pace, on the road. The national marketing launch is led by the “Jaguar Electrifies Experience,” a multi-city national tour that runs Oct. 3-7 in San Francisco. It includes other key electric vehicle markets such as South Florida (Nov. 8-11) and Los Angeles and the New York City metro areas through the spring. Consumers can RSVP to attend on a dedicated website. 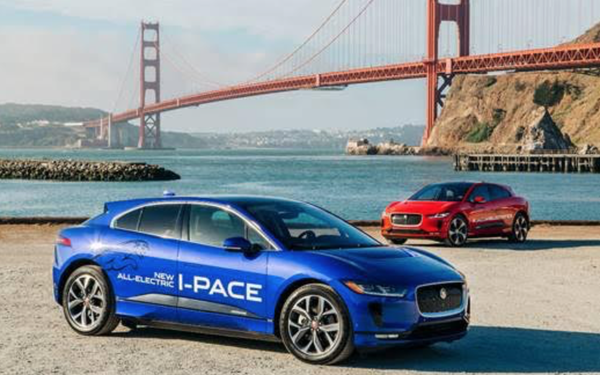 More than 1,300 participants have already signed up for San Francisco, says Leah Watkins-Hall, national corporate and brand communications manager for Jaguar Land Rover North America. The tour includes I-Pace test drives on street and closed courses. Nationwide retailer launch events Oct. 15 through Dec. 2. will introduce the Jaguar I-Pace to consumers across the country. The vehicle is priced from $69,500 and customers can take delivery beginning in the fall. The experience will conclude in “The Electric Lounge,” which will feature cutting-edge products and technologies curated by media partner Wired including Smart Mirror Touchscreens, DJI Mavic Air Drones and a Live Drone Feed of the closed-circuit driving test course. In addition, guests will be able to participate in various augmented and virtual reality activities that can be shared on social media. Jaguar is supporting the experiencethrough a number of activations in each market, including billboards and wallscapes in high-traffic areas throughout each city. Key features of the I-Pace will be highlighted in 3 AM, from Spark44, an online video the automaker debuted in March. “As an EV, the I-Pace presents a unique opportunity to engage a more diverse customer base, but as a luxury brand, we are mainly targeting affluent car buyers, current Tesla owners, as well as people who have expressed interest in receiving more information on the I-Pace,” Watkins-Hall says. The automaker has had a “terrific” response from existing Jaguar owners, but "93% of current leads from potential customers who have expressed interest in receiving more information on the I-Pace are new to the Jaguar brand,” Watkins-Hall says.